Viveport VP Bjorn Book-Larsson walks us through what attendees can expect out of Viveport at GDC 2019. See more GDC 2019 speakers try to pitch you on their talks in a minute or less! Each of these fun 'Flash Forward" videos is a short, personalized pitch for why you should make time in your busy schedule to check out a given talk while you're attending GDC! See how God of War's combat evolved to match its new camera system at GDC! When Sony Santa Monica introduced a more intimate, player-controlled camera system in its latest God of War game it revamped the combat to match, and at GDC you'll get a meaty look at how they did it! GDC 101 is back for GDC 2019, check it out to get the most out of your show! For GDC 2019 later this month organizers will once again offer a special overview event -- GDC 101 -- on Tuesday, March 19th that will show you how to get the most out of your time at the show! Please consider being a part of the GDC 2019 Sock Drive! Want to help? It’s easy: Bring a new pair of socks to GDC and drop it in a donation bin! A good pair of socks is a small, significant gift that addresses a huge need in the homeless community. Get a behind-the-scenes look at the non-authoritative networking architecture behind the game at GDC 2019 next week in San Francisco! These two very unique alternative controller games (Puppet Pandemonium actually won last year's Alt.Ctrl.GDC award!) will be playable in the West Hall of the Moscone during GDC 2019 later this month. Candy Crush maker King is coming to GDC 2019 to give you a behind-the-scenes look at what the company has learned from mapping what sorts of games its audience likes to play. Enjoy The MADE's sampling of classic and co-op games at GDC Retro Play! While the full lineup is still being finalized, you can likely expect to see playable versions of classic co-op games like Gunstar Heroes, ToeJam & Earl and Turtles in Time -- plus a working Pong machine! Come to GDC 2019's Tools Tutorial Day for a rundown of the high-level technical challenges EA's Frostbite team faced as they adapted their workflows to work with everything from FIFA to Dragon Age to Battlefield! 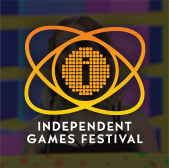 Catch up on these insightful interviews with IGF 2019 finalists! 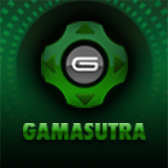 To help you better understand the work that went into these remarkable games, the team at Gamasutra have once again published a series of snappy interviews with this year's IGF finalists! Bungie shares tips on designing levels for different player types at GDC 2019! This is the talk to see if you want to learn practical ways to tailor levels to player motivations, replete w/ concrete examples from series like Mass Effect, Dragon Age, and Bungie's own Destiny! 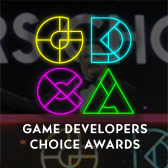 Come out to GDC in San Francisco this month for a rare look at how Ubisoft Toronto designed and coded Starlink: Battle for Atlas so that it feels like playing with toy spaceships! Read how King lead narrative design lead Tracey John will be helping developers tell better stories at GDC 2019. Take advantage of all this cool sponsored content at GDC 2019! From Google's keynote to the toxicity-fighting Fair Play Alliance Summit, don't overlook all the great GDC 2019 sponsored content available to you as you're planning out your time at the show!